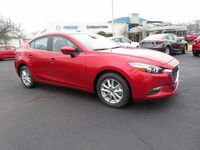 The popular Mazda3 midsize sedan is back for a new model year. 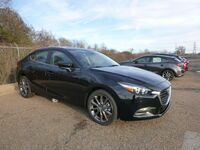 The 2018 Mazda3 in Memphis, TN is ready to turn some heads with its sleek design. Filled with features to help drivers get the most out of their commute, the new Mazda3 is equipped with high-tech features and advanced safety as well as a variety of design elements that places this model above other competitors within the automotive market. The 2018 Mazda3 has three trim levels within its model grade lineup. These include the Sport, the Touring, and the Grand Touring. Each of these trims have specific features and technologies with which they come equipped. No matter which you choose, you'll be sure to find value and style in every facet of the 2018 Mazda3. 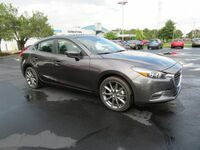 Equipped with a high-performance engine and an agile profile, the Mazda3 is a great choice for your next vehicle. Looking for more information on this model? 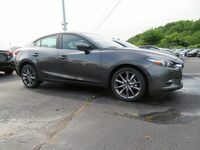 Contact us at Gwatney Mazda of Germantown for a whole rundown of the various benefits and perks that the 2018 Mazda3 in Memphis, TN has in store for drivers. 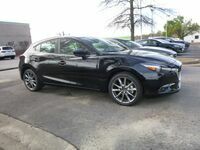 You can view the Mazda3 in our online inventory and then stop by our dealership to see this model in person.